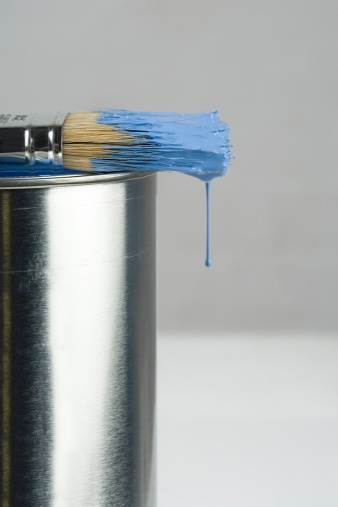 Lead based paint is a health hazard in children and are at higher risks than adults. Children who also live in older homes are at greater risk because those older home may contain lead. Children who eat paint chips or breathe dust from flaking or peeling lead based paint are most likely to develop symptoms. Lead paint cases have been in effect here in California. In the Los Angeles TImes, firms paid $1.1 billion in long running lead paint lawsuit. According to the article, a Northern California judge ordered three companies to remove lead based paint from inside California homes.Six hundred five million dollars have been aside to pay for lead removal in Los Angeles County. The money that was set aside will go to the Childhood Lead Poisoning Prevention Branch.That money will also pay for inspections and lead abatement on the inside of thousands of homes in the Los Angeles area. The judge is convinced that many children are at risk of being lead poisoned. According to CBS news, "Ten cities and counties were awarded for the damages and they include, counties of Santa Clara, Alameda, Los Angeles, Monterey, San Mateo, Solano and Ventura, and the cities of Oakland, San Diego and San Francisco". Lead-based paint removal should be handled by a professional. Alliance Environmental is a certified lead-removal contractor. They follow strict procedures to minimize, control and contain the lead dust created by the removal process. To learn more about lead based paint follow our social media sites that include, Facebook and Twitter. If you need any assistance removing lead based paint in your home or have any questions regarding this topic you may contact us HERE.